Limpets were seen grazing near the seeping fluids. They tend to form small clusters. 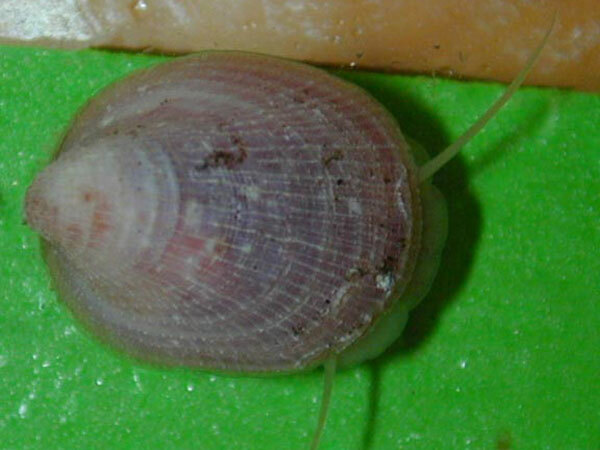 This animal is probably an undescribed species related to a limpet that occurs on seamounts off Japan. 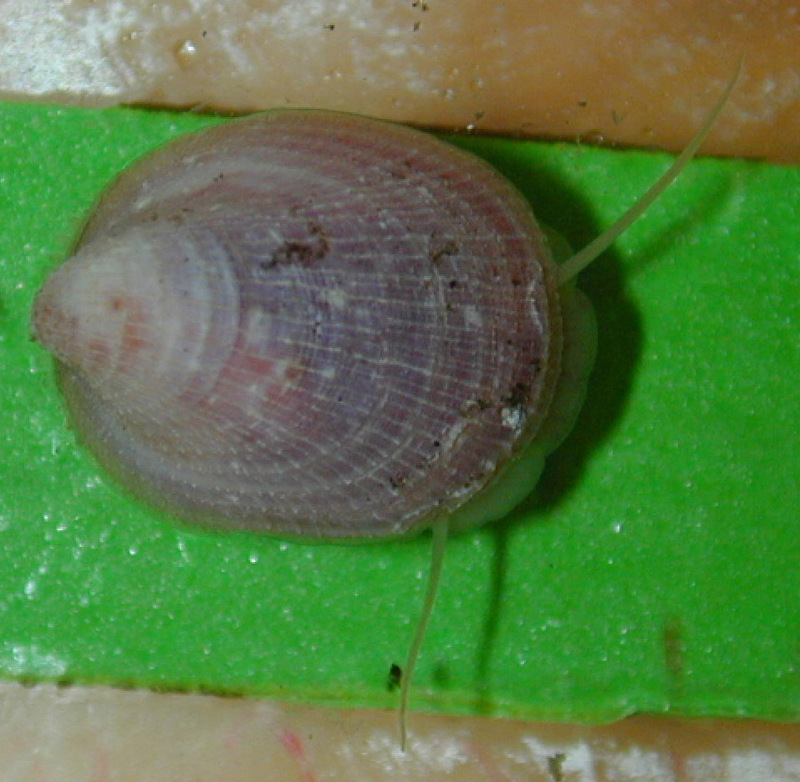 The limpet is > ~0.5 inches (~1.5 cm). Image courtesy of Submarine Ring of Fire 2004 Exploration, NOAA Vents Program.